President Muhammadu Buhari is faced with the reality of Nigeria’s economic challenges, including declining oil revenues and endemic institutional corruption. One such institution is the National Assembly, whose transparency has recently been an issue of rigorous debate on social media. The 469-member National Assembly (NASS), consisting of members in both the House of Representatives and the Senate, has come under public criticism for consistently refusing to disclose details of its budgetary allocations or provide a performance report of how it spent funds allocated to it over the years. Many Nigerians consider NASS’s ₦150 billion budget as a case of ‘daylight robbery’, particularly because the budgeting process lacks details on how the vast sum is disbursed. NASS has since the commencement of the Fourth Republic in 1999 received a total of approximately N1.2 trillion. 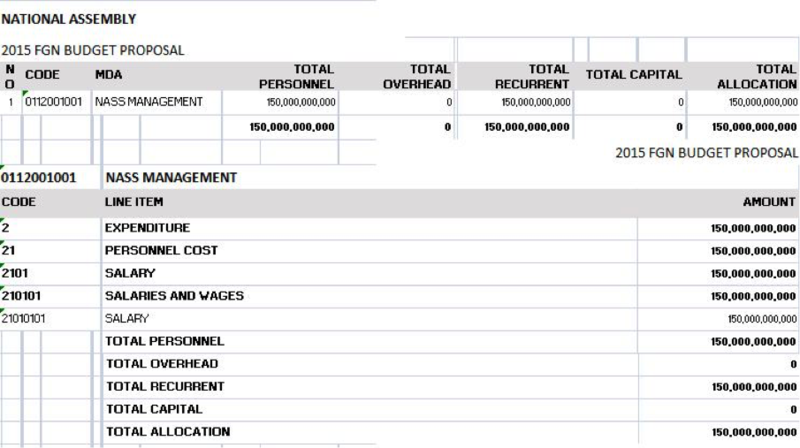 Nigerians have information about how half of this amount (N600 billion) was spent (the other half is estimated to go towards basic salary/personnel costs). In the 2015 budget, NASS continues to refuse to breakdown its proposed N150 billion allocation. 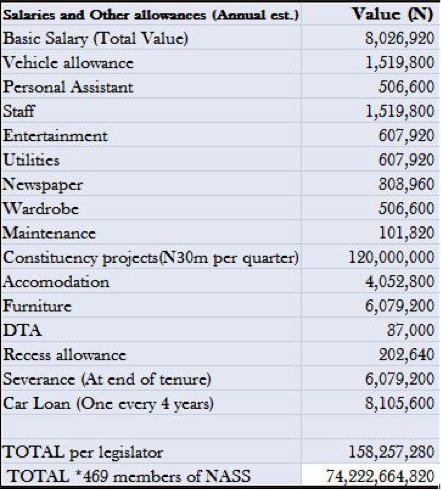 NASS should put up a breakdown for the public to see how and where allocated funds are spent. Knowing how the money is spent provides an opportunity for public scrutiny of the bill and plugging of wasteful spending. 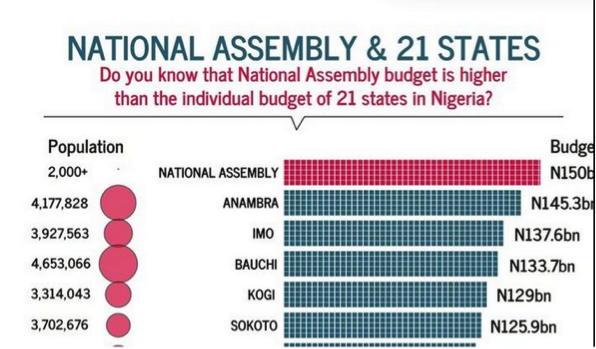 To put this in context, NASS, made up of 469 lawmakers (less than 0.666 of the Nigerian population) allocated more $$ to itself than the budgets of 21 states in the Federation. NASS has reacted to calls by the general public and civil society for budgetary transparency by saying that its activities are publicly available. 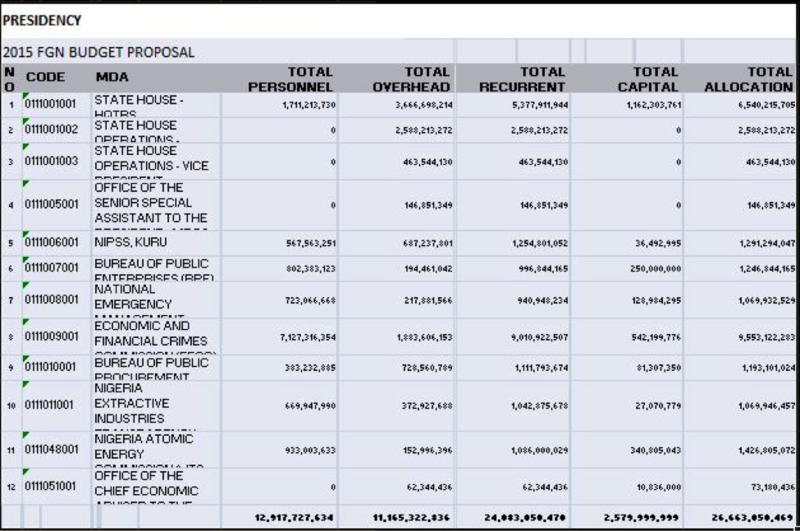 However, of the NASS entire allocation, only details of salaries and wages have been released in accordance with the Salaries and Allowances Act managed by the Revenue Mobilization and Fiscal Allocation Commission (RMFAC), except for the 1999 Budget which contained line item details of the NASS budget. The personality of General Muhammadu Buhari as a professed anti-corruption vanguard, and the rise of the All Progressives Party (APC) to the country’s leadership of the legislative houses present great opportunity for achieving budgetary transparency in the NASS. 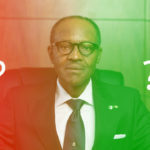 In fact, according to the CPPA poll on the 2015 presidential elections, the APC anti-corruption agenda was one of the major reasons Nigerians decided to vote for Buhari. However, separation of powers limits the President Buhari’s ability to impose changes, as the budget of the national assembly is placed directly under statutory transfers from which no deductions can be made. Reforms may also be hard to implement because the 8th NASS consists of several politicians adjudged in many quarters to be averse to changing the status quo. At least 150 Federal legislators retained their seats in addition to some who had served in other political positions before venturing into the legislature. 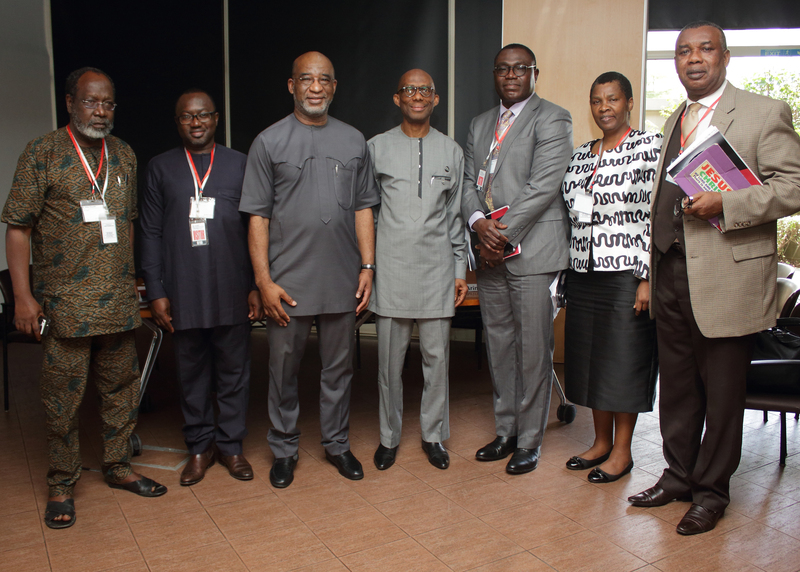 A few of these public officers have allegedly been involved in bribery scandals. 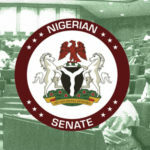 Although some of the incoming legislators of the 8th Assembly (Honourable Femi Gbajamiala, Senator Ben Murray-Bruce, Senator Dino Melaye as well as the Senate president, Senator Bukola Saraki) have pledged their commitments to make the NASS financially transparent, it is doubtful that their individual desires will maneuver the political will of the other crop of politicians who desire no change in the status quo. 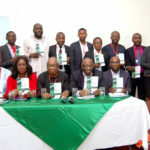 In response to Freedom of Information (FOI) Act requests from civil society organizations BudgIT and the Public and Private Development Centre (PPDC), the 7thNational Assembly claimed that the NASS budget falls within the scope of non-disclosure exemptions contained in s. 14 and s. 15 of the Freedom of Information (FOI) Act. However, BudgIT and the PPDC have dragged NASS to court, arguing that the budget does not fall within the purview of exemptions envisaged by the FOI Act. The call for Transparency in the NASS budget is a worthy call that should be heeded. In the words of Atifete Jahjaga, “Democracy must be built through open societies that share information. When there is information, there is enlightenment. When there is debate, there are solutions. When there is no sharing of power, no rule of law, no accountability, there is abuse, corruption, subjugation and indignation”. 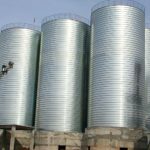 However, it is highly improbable that the desire of many Nigerians for an “open NASS” will be achieved under the new administration, given the defensive stance taken by Nigerian lawmakers. Jubril Shittu writes from Lagos, Nigeria.